S-350E "Hero"/ "Vityaz" Anti-Aircraft Missile System with dual role features of area air defense as well as medium range anti-aircraft engagement capabilities was first unveiled during MAKS 2013 Air show which was held in Moscow. The S-350E project developer is the Russian Almaz corporation (government owned, "KB-1") which is currently a part of "Almaz-Antei" Air Defence Concern under the guidance of Chief Designer – Ilya Isakov. 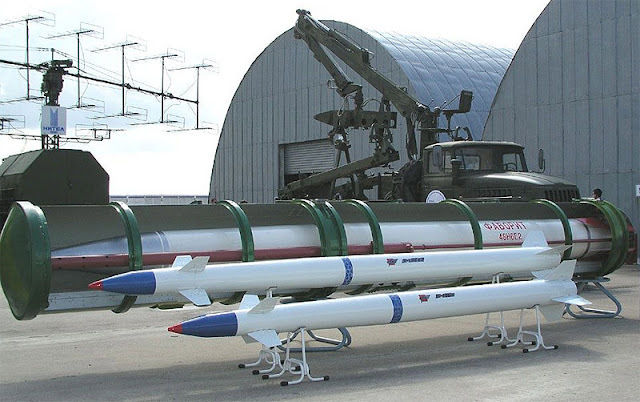 The Preliminary study on the development of S-350 to replace the S-300P/S-300PM started in 1991-1993 at NPO "Almaz".The very first mention of the project SAM "Hero" occurred in MAKS 1999 Air Show and the models were shown of combat vehicles set on KAMAZ chassis. The project took a lightening speed through the development of export projects like "KM-SAM"for South Korea. Also, known as M-SAM Cheolmae-2 a joint-project between Almaz Antey and Samsung Thales. This team included missile builder LIG Nex1 and platform manufacturer Doosan DST. 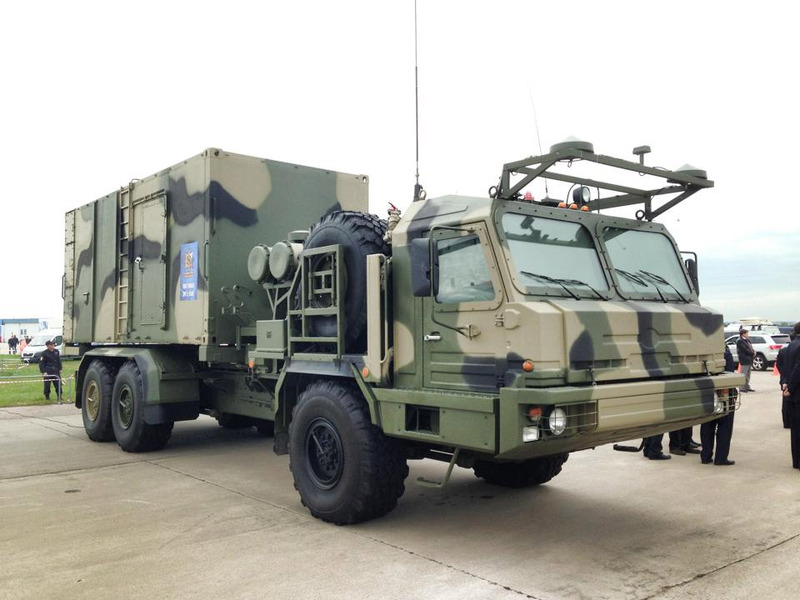 The South Korean project shares many technical components with the Russian version S-350E "Hero" missile system. Now, if we look at the developmental timeline of this project - In 2010,development of design documentation started along with KM-SAM project and by 2011 complete design documentation was completed. Also in 2011 it was planned to start field testing of a prototype by the end of 2010. Later, the production of multiple prototypes was executed 2012 and tested in 2013 prior to it's unveiling at MAKS 2013. 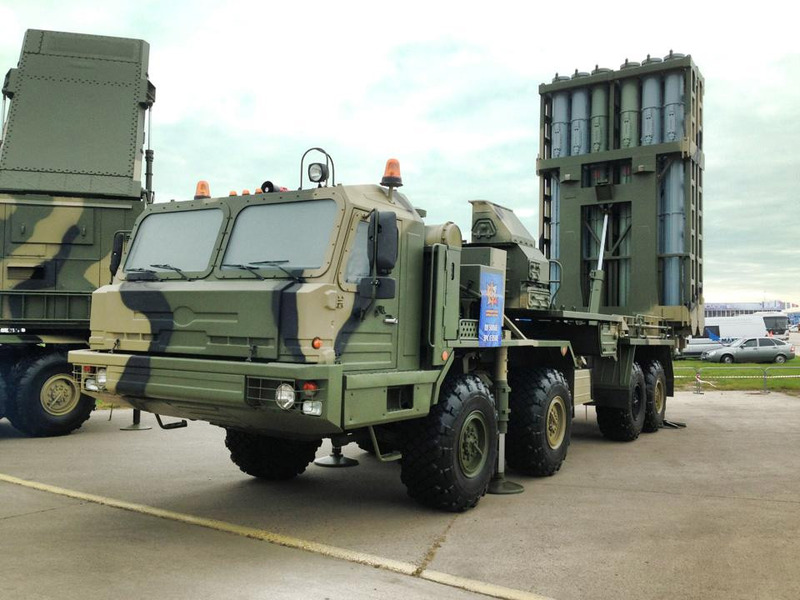 In mid-2013, Russian Defense Ministry reported the scheduled completion of the full-scale tests of the systems by end of 2014 and consequently scheduled commissioning in year 2015. Overall system is based upon three 8x8 truck chassis BAZ-6909. The BAZ-6909 can tackle a maximum gradient of 57 %, side slope of 38%, fording depth of 1.4m, and trench of 1.5 m. The propulsion system of the BAZ-6909 truck includes a YaMZ-8424.10-033 engine, a clutch and a gearbox, all placed behind the cab. The missile system is equipped with relay station for communication equipment, shelter-mounted fire control system with multifunctional target, and surveillance radar 50N6A. The centralized tire and air pressure regulation system of the S-350E Vityaz consists of a pressure control valve, shutoff valves of the wheels, and piping. The system is monitored from the driver seats. Each S-350E Vityaz system consists of three 50P6 launcher trucks, a 50K6A command and control vehicle. The basic system can load 48 weapons per battery. The 9M100 is a short-range missile featuring infrared (IR) guidance. It is 2.5 m long, has a 125 mm diameter body, and weighs 3,073 kg. It is used as both a surface-to-air missile and an air-to-air missile, and has a maximum range of 10 km. The 9M96E / 9M96M, which is originally meant for the S-400 missile system, is a dual-role, self-defence and IR-guided missile. It can load FRAG-HE warheads of 26kg and travel at a speed of 900m/s up to a range of 40 km. It features active radar terminal homing guidance system and measures 4.75 m in length and 333 kg in weight. It has a body diameter of 240mm and wing span of 480 mm.